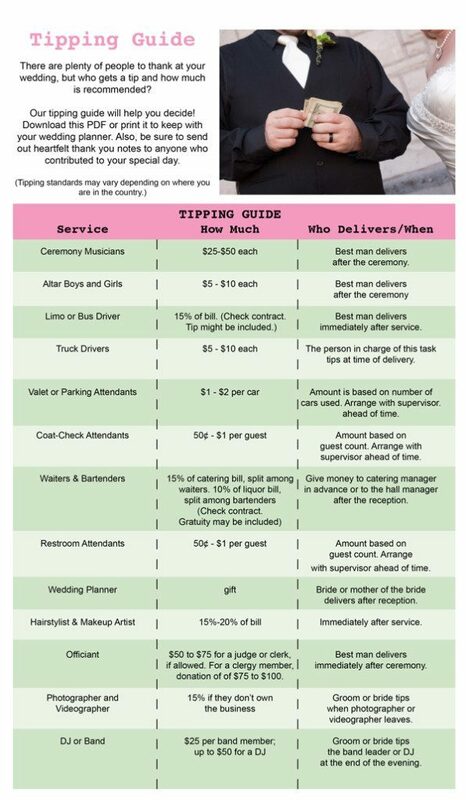 Knowing who to tip, how much and how the money is delivered can be very stressful for a bride and groom. Gala found this Pinterest site. 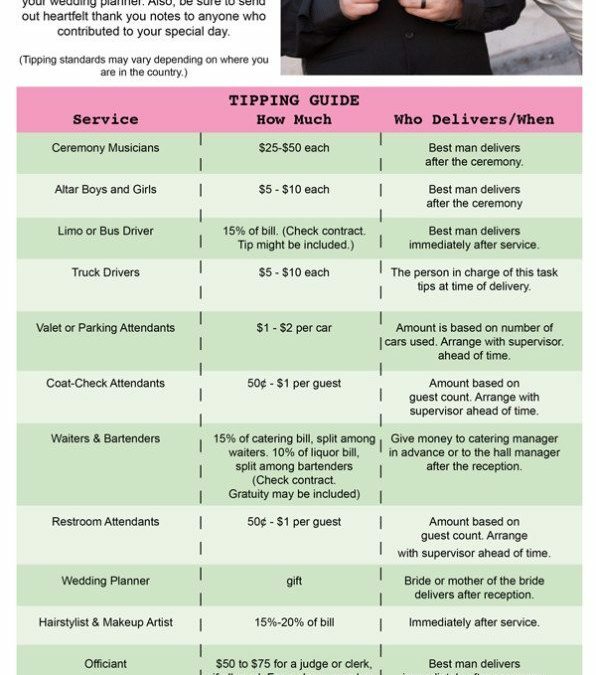 This helpful chart shows how much to tip for each service provider and who should deliver the tip and when. Hope this helps everyone!